Keep in mind that Netanyahu is in this camp, and Itsreallyhell is said to have up to 200-400 nuclear weapons. After the working of Satan, they are certainly set out to instigate global war to bring their false Christ Moshiach, AKA, that Son of Perdition. 71 elders of Israel who identify themselves as the Sanhedrin gathered Wednesday on Mount Zion in a historic trial bringing to judgement Pope Francis and US President Barack Obama in absentia. 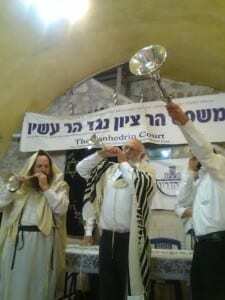 The rabbis called the two leaders to trial for crimes leading to the mortal endangerment of Israel and the Jewish nation. The central issue the Sanhedrin focused on during the trial was the changing global tide against Israel and the Jews. Among the various points brought up by each rabbi on the Sanhedrin, the main theme centered on the long trail of diplomacy mislabeled as a peace process, the misguided and dangerous nuclear deal with Iran and recent attempts to appease the world of Israel as it murders Christians in Arab countries. The strongest charges were made against the Pope, who recently recognized a “State of Palestine” with an official treaty. According to the Sanhedrin, the Pope, who claims to accept the Bible that states clearly that the land of Israel was given to the Jews, has placed the world in grave danger. It was agreed beforehand that for the trial to be a true judgment, a counsel must be found who would represent the defendants in absentia with a strong belief in his case. Rabbi Yehoshua Hollander, who was until recently the Foreign Minister of the Sanhedrin, acted as counsel for the defense and brought forth compelling arguments that were difficult to refute. While Hollander agreed that the facts as stated by the Sanhedrin were accurate and irrefutable, he claimed that each of the defendants were innocent nonetheless and offered three factors that would lead the Sanhedrin to withhold judgement from the defendants. The first case, defense by circumstance, justified the actions of the Pope and Obama in light of ameliorating circumstances. The second case, defense by deflection, attributed part of the guilt to others. The third defense, defense by lack of intent, claimed that there was no criminal intent behind the actions of the two leaders. By Jewish law, lacking of criminal intent exonerates the defendant from the criminal charges but would nevertheless leave the defendant liable for all damages caused by his behavior. Hollander reasoned that the Pope was faced with massive slaughter of his followers, and therefore his attempts to placate Islam were not directed against the Jewish People. He also diverted some of the guilt from the accused by implicating the Israeli government, who have acknowledged the Palestinian claims, thereby misleading the defendants and being complicit in the crime. 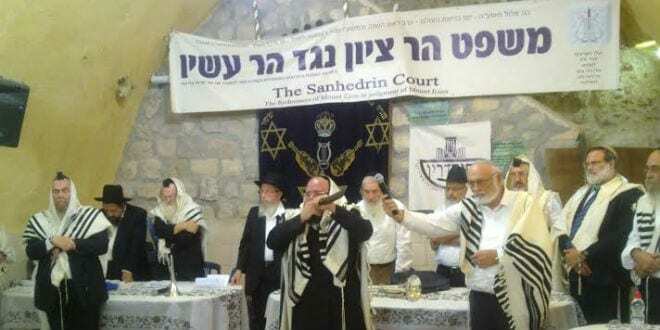 Rabbi Daniel Stavsky, an elder on the Sanhedrin, told Breaking Israel News following the trial that Israel must learn from the lessons of the Holocaust in order to protect the future of the state and the nation. The next gathering of the Sanhedrin will be October 8, for further investigation into the judgement. 39 And knew not until the flood came, and took them all away; (DEAD) so shall also the coming of the Son of man be. 40 Then shall two be in the field; the one shall be taken,(DEAD) and the other left. Thanks. Mystery Babylon, the Mother Harlot of the earth.